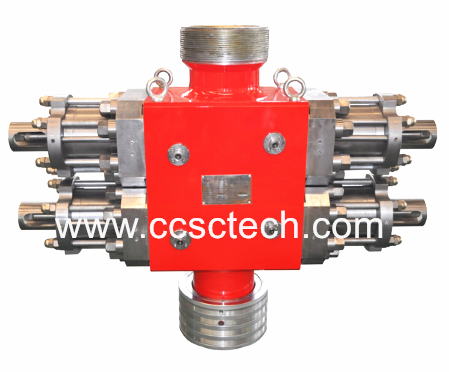 Wireline bop blowout preventer is a kind of wireline valve.it is also named as slickline bop blowout preventer, it is often placed on the surface oilfield between wellhead and lubricator when provide blowout protection, wireline operation, slickline operation, braided line operation etc. It is designed to provide a positive seal and contain well pressure around stationary Wire line during well intervention operations. The wireline bop slickline bop can work under pressure on the surface equipment when the line is in the wellbore. 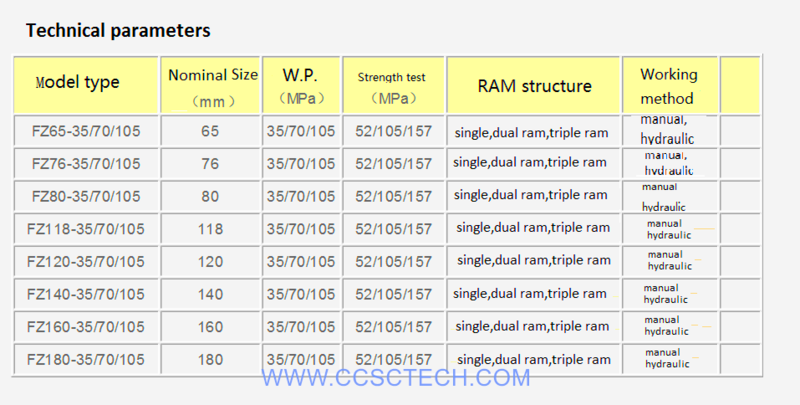 It is usually designed specifically to be used as a single ram, dual ram, and triple ram structure. 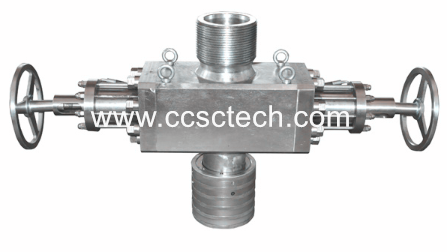 CCSC wireline bop slickline bop can be designed as customer’s requirement, both hydraulic operation and manual operation are available. 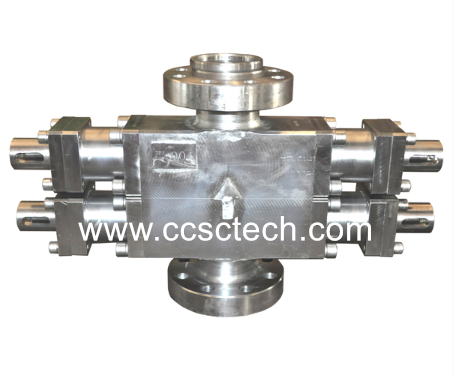 Manual operation can be used in case of hydraulic operation method failure. ●Quick union and flanges and studded connection as per client request. 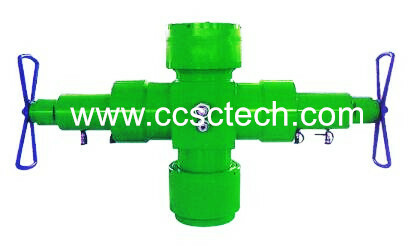 ●Available for sour gas, standard, low temperature applications.